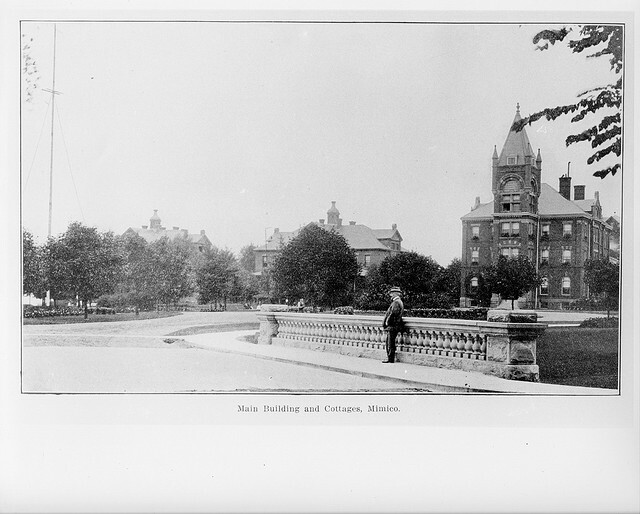 There is an excellent website that offers a history of the old Lakeshore Psychiatric Hospital. Here is a photograph from the website showing the ornate stone bridge that used to span the now buried Jackson Creek that met the lake at Rotary Park. Remnants of the bridge can still be seen on the roadway between the two swales that were once wetlands on the creek.